Quality control at every stage of manufacturing is a key aspect of the quality management system of any organization. Inspection at different stages of manufacturing is essential to achieve required quality of the product. This knowledge area has been studied extensively in the past with respect to inspection strategies, inspection location, and inspection intervals to minimize inspection cost. 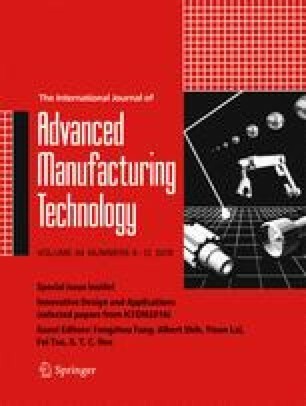 However, there is a lack of literature that examines the relationship between inspection performance and factors related to human labor and inspection time of different products. Here, offline inspection is investigated to achieve the process target values by determining the optimal number of inspectors for different products. Three skill levels for inspectors are selected on the basis of their inspection errors, inspection quantities, and inspection cost. The purpose of this study is to achieve the optimum results of objective functions that consist of inspection cost, outgoing quality, and inspection quantity by determining the optimal value of decision variables, i.e., the number of inspectors with respect to their skill. A multi-objective optimization model is developed using a stochastic approach to determine the optimal results of the objective functions and decision variables. Firstly, goal programming is employed to verify the optimization model by using numerical examples. Secondly, sensitivity analysis is considered to illustrate the effect of incoming quantity on inspection performance and optimal combination of decision variables. This research was supported by Research Fund of Hanyang University (HY-2016-G).